Yakitori restaurants are all over Japan and there are of course some here in NYC. 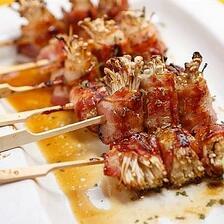 By now you might be asking, what the heck is yakitori, anyway and why is it on a stick??? “Yaki” literally means cooked over direct heat and “tori” is chicken. However, at yakitori restaurants you can also get beef, pork, vegetables (like asparagus), tofu, and even squid skewered and then cooked over hot coals. Personally, I love “tsukune,” which is basically chicken meatballs, and at Yakitori Taisho at 5 St. Mark’s Place they also have grilled chicken skin AND chicken liver. Taisho has pretty good prices and a student vibe. 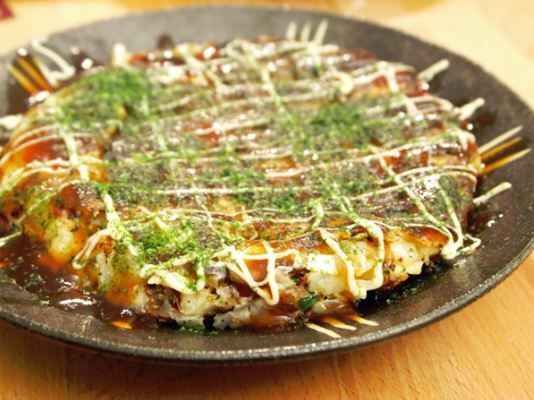 One of the most popular snacks in Japan is “takoyaki.” “Tako” is squid, and you already know what yaki means. 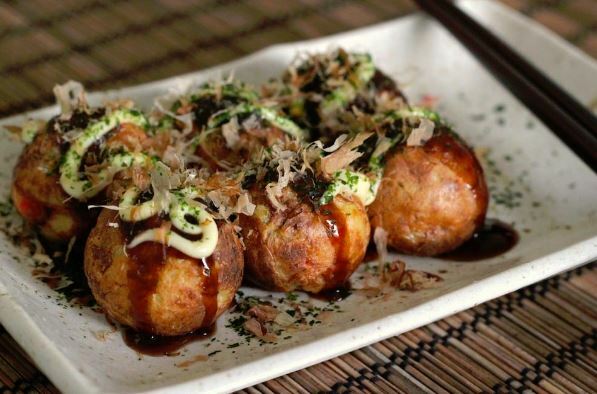 Takoyaki is a small, ball-shaped bite made from wheat flour-based batter with little chunks of cooked squid in it. 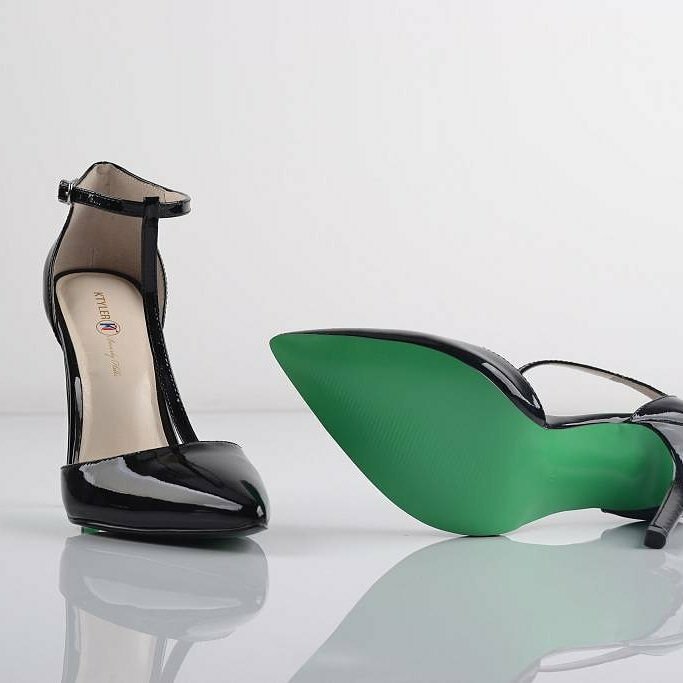 You might be thinking... Ugh! Doesn’t sound appealing at all! But they have splendiferous squid balls at Taisho, so you should try them! 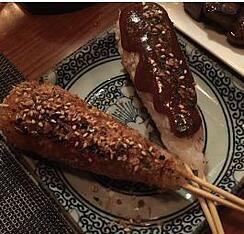 If you want to go a bit upscale, hit Yakitori Totto at 251 W. 55th Street. This place is a bit bigger than Taisho, and has a different “fuinki.” (Fuinki=Ambiance/Mood) It’s a bit more grown-up, I guess is the best way to describe it.